Georgia Southern University selected Garbutt|Christman as construction manager in collaboration with Lord, Aeck & Sargent and Palmer Architects to rehabilitate Brannen Hall, a three story brick and concrete building constructed in 1963 to serve as a women’s dormitory. 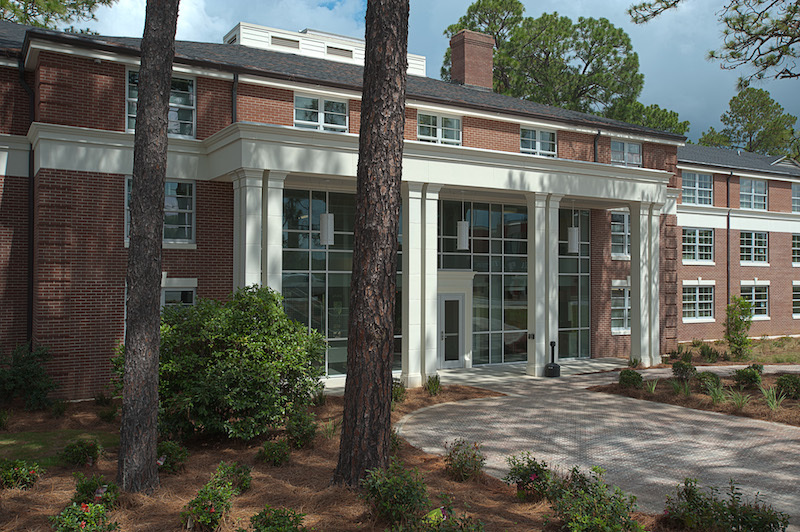 The rehabilitation adapted the former dormitory building for use by the College of Liberal Arts and Social Science as faculty offices and labs for the Department of Psychology, as well as administrative offices for other departments. The goal of the project was to keep the exterior intact, retaining the building’s original character, while making the alterations necessary for the new use. Garbutt|Christman provided all preconstruction and construction management services for this project.